How many months do I have to wait to get paid by Mercury after an accident? How long does it take for Mercury Insurance to settle an accident claim? How much time does it take Mercury to settle a case? How long does Mercury take to send a settlement check? Mercury Insurance was founded in 1961 as an alternative to larger insurance companies. It eventually began to incorporate various types of insurance, including fire and life insurance, and has expanded to numerous states. It is headquartered in Los Angeles and is one of the largest insurance providers in the State of California. Despite its humble beginnings, Mercury still abides by the laws that most insurance agencies do – to not pay out claims if it’s an inconvenient cost and to fight tooth and nail to preserve profits. You may be in for a long battle if you intend to file a claim with Mercury for compensation from an accident. We highly recommend seeking the assistance of a skilled attorney to guide you through the process or to handle your claim for you. You should not be expected to pay for your own expenses if you were the victim of a crash and another party caused it to happen. The liable individual or insurance company should handle all the expenses, and our lawyers can make sure you receive the compensation you’re entitled to. After you’ve been involved in an accident, you should make sure to acquire all the evidence you can. You should take pictures of your injuries, the damage to your car, and the accident scene. You should record witness and passenger testimonies. You should get medical reports and police reports from the necessary sources. All of this information must be gathered together, along with a demand letter, and sent to Mercury. It may take a few days for the letter to arrive, and once it does reach the desk of the insurance agent, it may take another few days before he gets around to reading it. Insurance agents handle hundreds of claims at a time and they tend to dedicate more time to pressing issues that could cost them a lot of money. Once the insurance agent has received your claim, he will begin to evaluate it and value it. The value or worth of your case will be determined primarily by your injuries – how extensive and severe they were, how much of an impact they had on your daily life, their permanence, and how difficult they made it for you to complete your job or pursue future job opportunities. After evaluating all of this, as well the circumstances surrounding the accident, the insurance agent will make a decision. He will either accept your settlement as it is, make you a different offer, or reject it altogether. How long does it take Mercury to settle a case? The length of time it takes Mercury to settle a case will basically depend on how much time the agent spends evaluating your claim. However, once you have submitted your claim and it was received by Mercury, the company has 40 days to issue a response. This response can be a positive or a negative. How long does it take Mercury to settle a claim? The amount of time it takes Mercury to settle an accident claim can further depend on how much negotiation is required and put forth. If you are given an unreasonable offer, you may want to negotiate a better deal. Your attorney can do this for you; the process can take a few months if the insurance agent is particularly resistant. We have even seen claims go unresolved for two years or more. However, we always strive to tirelessly work to settle your case as quickly as possible. For property damage and lost wages, how long does it take for Mercury Insurance to settle a claim? If you were not physically harmed in the accident, you could reasonably expect a quicker response and offer. This is because there is not much for Mercury to dispute – they will not be able to claim that your injuries were caused by something else or that you were not as harmed as you stated. The mechanic can give you an estimate for how much repairs to your car will cost, and your job can give you pay stubs to show how much money you lost out on due to injuries or other reasons. Mercury is much more likely to be lenient and generous on property damage claims because of the minimal impact the costs will have on their profits. You may notice a drastic difference in how long it takes Mercury to settle a lawsuit if you were not hurt; it could be cut in half and only take a few weeks. How long does it take Mercury to send a settlement check? The amount of time it takes Mercury to send a check is much less than the negotiation process. You can expect a check within 30 days of the settlement, as is the law. The check will either be delivered to your provided address or to the law firm, where the attorney will give you your portion of the amount. One of the main reasons you should hire an attorney from Kenmore Law Group is our dedication to you as a client. We know that you may not have the time or experience in negotiating to handle your claim by yourself; there are more pressing issues at hand, such has recovering from your injuries or returning to work so you can make money. We are willing to handle every part of your claim and will not stop pursuing your rightful compensation. An attorney can help you adhere to the statute of limitations for filing your claim (2 years in California), file your documents for you, hire expert witnesses, schedule pick ups for you to come to the office if you are incapacitated, and more. We care for our clients and have every intention of winning your case for you. However, if you only file a claim for property damage, you may not need an attorney. You are more than welcome to reach out to us for a free consultation, but property damage claims are generally straightforward enough that you won’t need someone to spend a lot of time negotiating. No matter what kind of claim you file, we recommend seeking the advice of a skilled lawyer at our law group. An insurance company is said to act in bad faith when it does not do its due diligence in servings its clients. Many insurance companies skate the lines of legality in this way and some even flat out break the law. Our accomplished lawyers can make sure that you are not treated unfairly and that Mercury is holding up its end of the agreement. We will see to it that Mercury abides by the law, and if it doesn’t, we are willing to sue them for acting in bad faith. Some examples of bad faith include not paying a claim on time, failing to give you a reason for a rejected claim, making threats, changing policy language, misrepresenting the law, making you an unreasonably small offer, and more. Our attorneys at Kenmore Law Group are some of the top-rated lawyers in the city. We have years of experience under our belts and have been handling Mercury claims since we started practicing law. If you need an attorney who will put your claim first and will do all he can to protect you and your rightful compensation, you’ve come to the right place. We will work around the clock to win your case for you. We are willing to bring your case to court and will fight in front of a judge and jury to show that you deserve the compensation you requested. If we need to sue Mercury for bad faith as well, we will bring you additional restitution. Contact our Los Angeles offices to set up a free legal consultation with a qualified lawyer. If you have questions, we’ll answer them – no matter what they are. 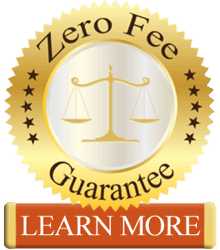 If you select us, we’ll give you our zero fee guarantee, which means that you won’t pay us any out of pocket expenses for our services. We’ll cover the costs of the case and will only have our fees paid if we win – the settlement will provide our expenses, so Mercury will pay for the legal help you received. If we lose, you owe us nothing whatsoever. Contact Kenmore Law Group today to learn more about Mercury Insurance claims and what we can do to help you receive a settlement in a fair amount of time.